VIENNA, VA (March 31, 2015) – Jay Hauhn, a 38-year veteran of the security industry, is the new executive director of CSAA International. Hauhn will assume his new role, which is the lead staff position of the association, on April 6. 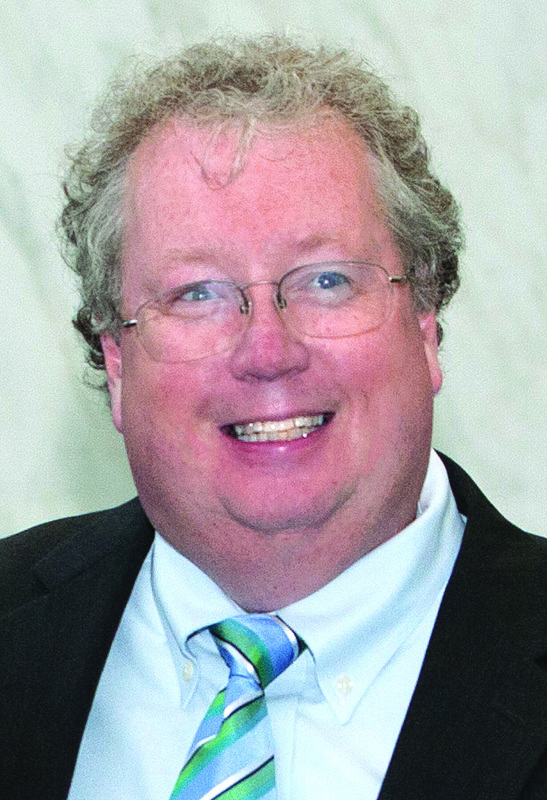 “I am excited to have the chance to lead CSAA, and to work with the board of directors, the volunteer committees and the staff, particularly at this time when rapidly-changing technology impacts our industry like never before,” said Hauhn, who has close ties with CSAA, having served as president of the association since October 2013. “I started my career in the security industry working in a central station, and it’s a remarkable opportunity to cap off my career as the executive director of the association that represents monitoring companies and protects their interests,” he continued. Hauhn recently retired as chief technology officer and vice president of industry relations at Tyco Integrated Security, where he was responsible for product technology and innovation along with industry and government relations. He led product and service solution development and engineering as well as development and implementation of product strategy. He was also responsible for interaction with industry associations, regulatory agencies and local, state and federal governments. Previously, Hauhn served as chairman of the Security Industry Association (SIA) and currently sits on the board of directors of the Security Industry Alarm Coalition (SIAC). He is the recipient of numerous industry awards, including SIA’s “Statesman Award” in 2009 and SIAC’s William Mooney award in 2011. In April 2011, he was inducted into the Security Industry Hall of Fame. Hauhn was also recognized as one of the “Security Industry’s Most Influential People” in 2012 and named one of the forty “Most influential People in Security & Fire” by IFSEC (International Fire and Security Exhibition and Conference) in 2013. The Central Station Alarm Association International (CSAA) is an internationally-recognized non-profit trade association that represents professional monitoring companies that are listed by a CSAA-approved Nationally Recognized Testing Laboratory, such as FM Global, Intertek/ETL or UL. CSAA is legally entitled to represent its members before Congress and regulatory agencies on the local, state and federal levels, and other authorities having jurisdiction (AHJs) over the industry. Since its incorporation in 1950, CSAA has served its members’ interests through education, online training, meetings and conventions, certification, insurance, and industry standards. http://www.csaaintl.org. For more information, contact Elizabeth Lasko at CSAA, 703-242-4670 x 16. “We have received word of central stations complaining of issues receiving alarm signals since Friday, March 24. It turns out that the majority of the issues have Comcast as the originating carrier. The issue seems widespread from Massachusetts to Texas at the moment and may be spreading beyond. The majority of the issues are with the Contact ID format. It appears that the DTMF tones and the spaces between them are being lengthened. “I have reached out to our contact at Comcast. They are aware of the problem, know the cause and are in the process of resolving it — hopefully within hours. CSAA International has released the results of the 2013 Wage and Salary Survey, which will assist businesses within the industry with competitive compensation practices. The survey is the most extensive snapshot of industry practices to date. The data will be particularly useful to the human resources staff at alarm companies. Confidential participation was open to all monitoring companies—both CSAA members and non-members. The survey was created by the CSAA Contract Council and was facilitated by Barnes Associates, an advisory and consulting firm that specializes in the security alarm industry. To purchase the survey results, visit http://csaaintl.org/csaa-wage-salary-survey/ . Additional resource: the Security Industry Recruitment Center is the premiere online recruiting resource for the electronic security industry. Post your open positions today!